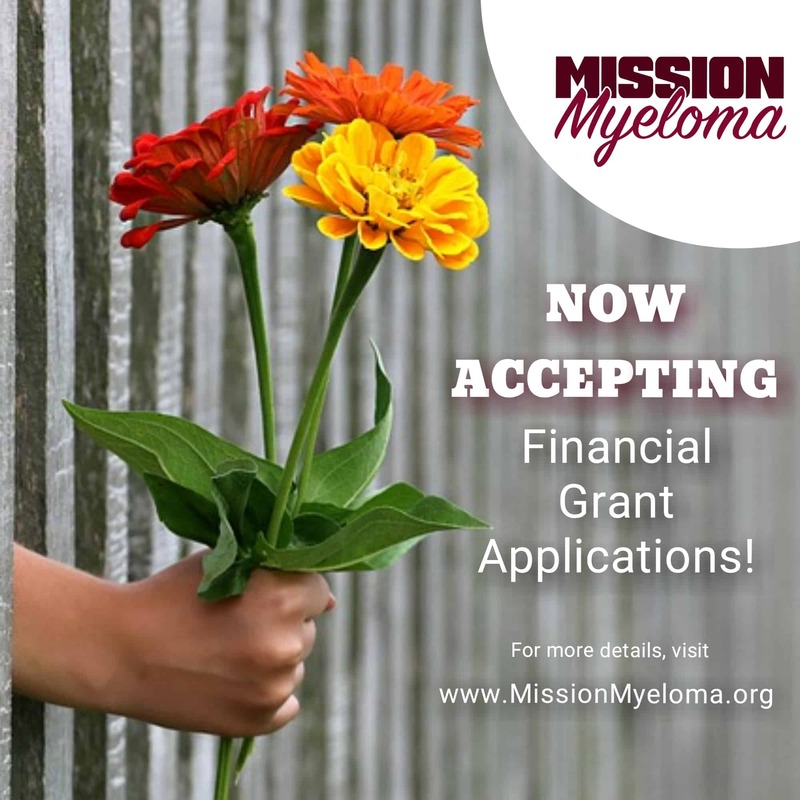 We’re beyond excited to announce the launch of the Mission Myeloma, Inc. financial grants! Effective February 2018, we are accepting applications from myeloma patients. This is one of the ways we’re showing support and providing hope to the myeloma community. Grant applicant MUST have a myeloma diagnosis. Accepted applicants will be awarded financial assistance to be used to offset the challenges of the myeloma journey. We will reject incomplete applications. Submit completed grant application and myeloma medical team confirmation, together via mail or email (coming soon!) A completed application does not guarantee the applicant will receive a financial grant. Applications will be reviewed by the Mission Myeloma, Inc. Board of Directors. You will be notified by email or phone call once a decision has been made.